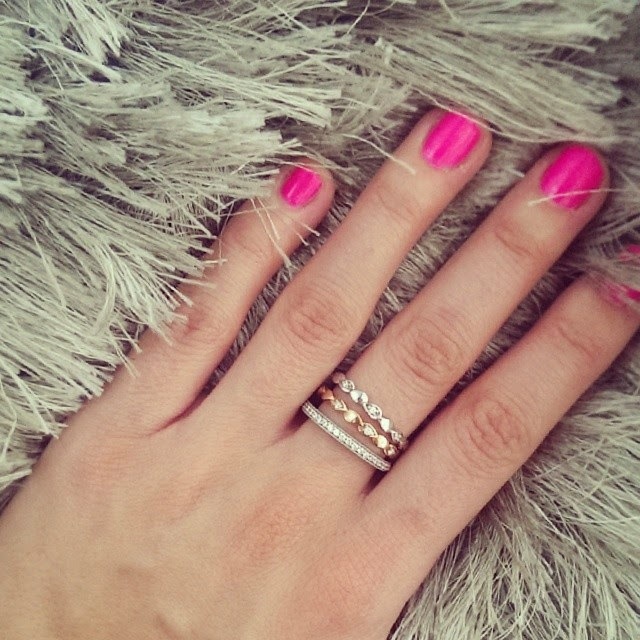 Here at Cassandra Mamone HQ we love stacking our rings, whether it be wide bands, thins bands, diamonds or not. The essence is you mix and match your different rings, not necessarily to complement each other but to make a mini statement on your pretty finger. We love mixing colour tones too, put 'em all together if you must -we love mixing rose gold and white gold. We say stack it all the way. 'Til you can't bend your finger. What's your perfect stack combo?! 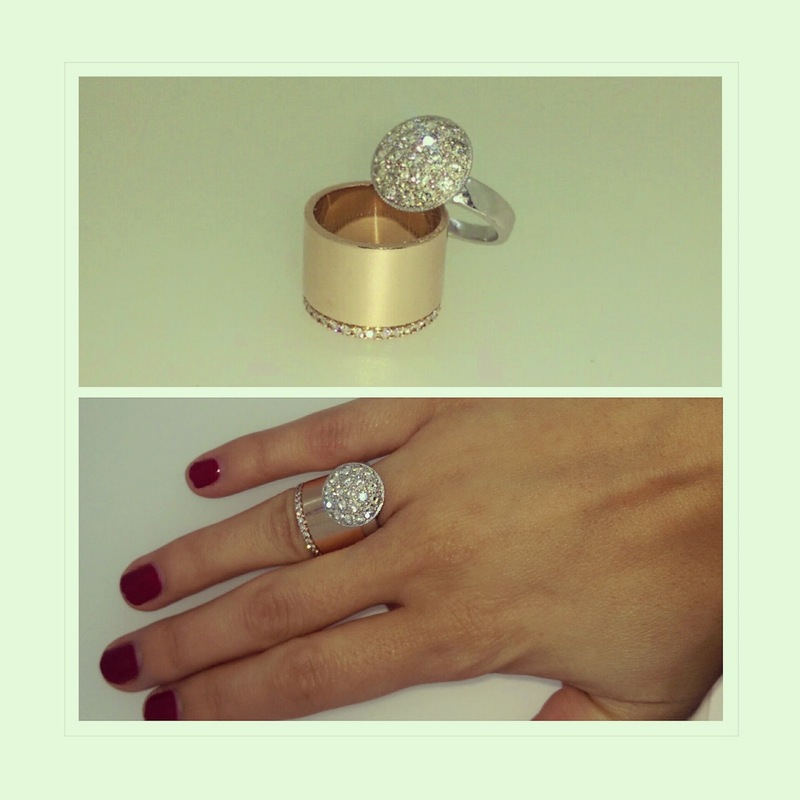 'White Gold Leaf" ring, 'Rose Gold Leaf' ring and 'By Night' eternity ring. Where can I find the middle ring? I went to your site but can't find it anywhere. It is beautiful!